Terri Bate spins pet fur into luscious yarn... picture above. 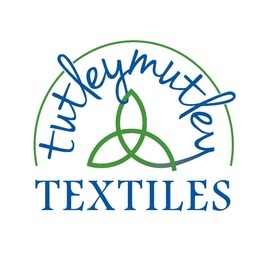 Terri is tutleymutley: textile artist, knitter, spinner, teacher, designer, painter, illustrator and cartoonist. She was born and still lives in Devon, UK (albeit having lived in Wisconsin, Wales and London in the in between years). She has worked on the buses and as a midwife, but her passion is knitting, yarn-making, and enthusing about colour and texture. She has recently retired from the day (night?) job to follow her dream and concentrate on all things textile. 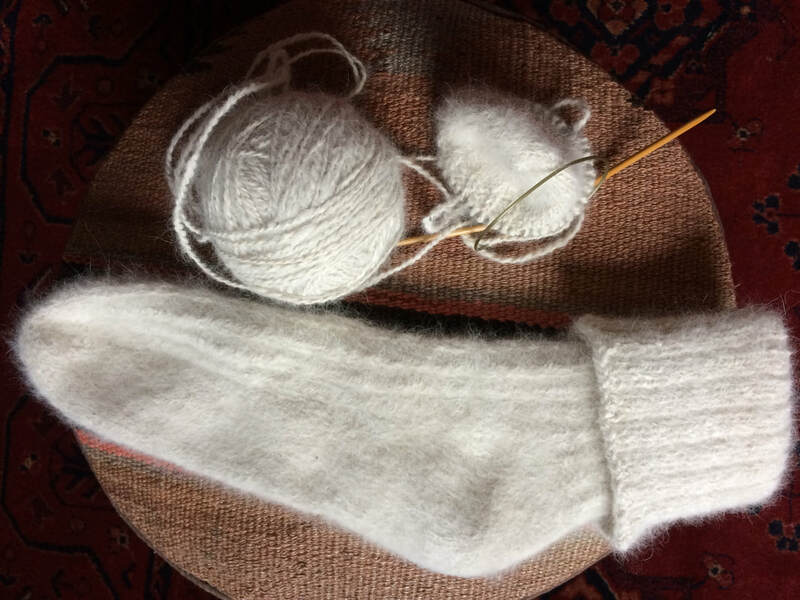 To date, this has included organising knitting retreats; designing knitting patterns; teaching beginning to advanced knitting; teaching spinning to beginners; demonstrating spinning in schools and at local Fairs and Shows and running knitting and spinning clubs locally. Terri has had several knitting patterns published and her artwork was to be found regularly on the back of the now defunct Yarnmaker magazine. Terri is once again on the committee of the Devon Guild of Weavers, Spinners and Dyers having returned from a solo round the world bicycle adventure in September 2017 - knitting and spinning all the way and contriving to meet with other textile enthusiasts en route. It was called the 'Spinning a yarn around the world - a Magical, Mystical Sydney Memorial Tour', (with apologies to the Beatles). Bit of a mouthful - perhaps an acronym would be better? SAY a double u double m SMT? Maybe not. The blog can be found on this website. Now she is at home again she is once more offering to turn your pet's fur/dog hair into yarn. Below is the softest, plushiest, floofiest ragdoll cat fur yarn being knitted into bedsocks.